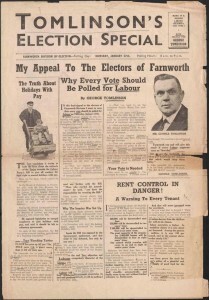 Mass Observation worked with the Labour Party in Bolton during the January 1938 Farnworth by-election. 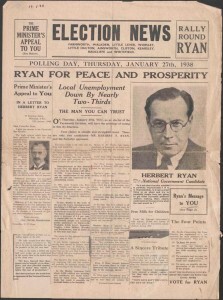 They were interested in learning how propaganda could influence people’s opinions. 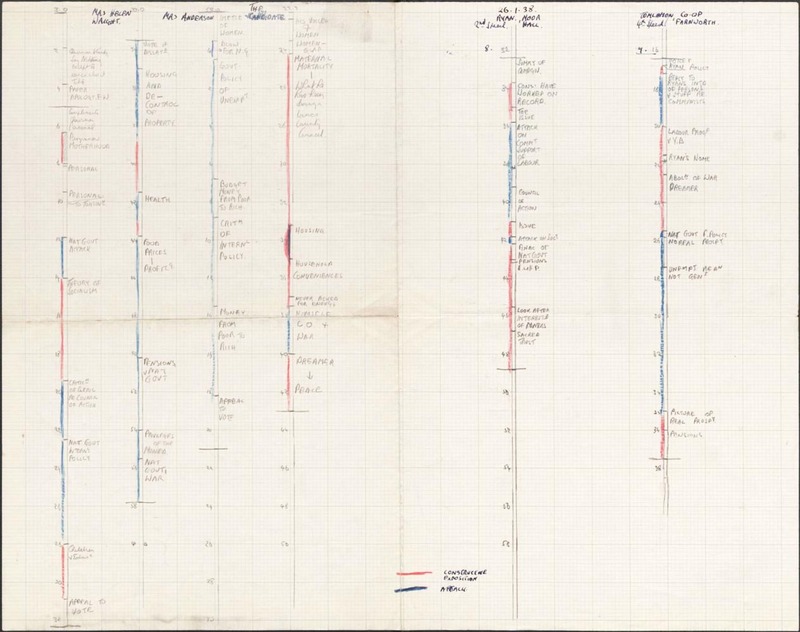 Mass Observation later used this knowledge to help the Ministry of Information develop propaganda during World War 2. 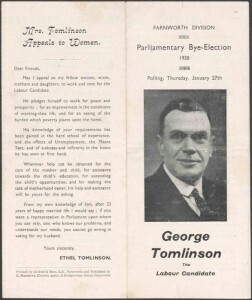 The leaflet includes Ethel Tomlinson’s appeal to female voters. 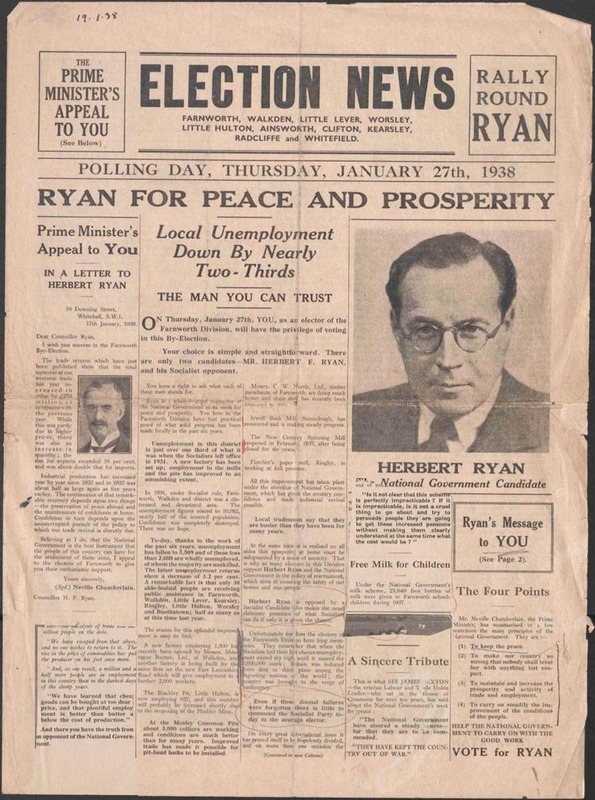 Conservative candidate Herbert Ryan’s election newsletter. Labour candidate George Tomlinson’s election newsletter. 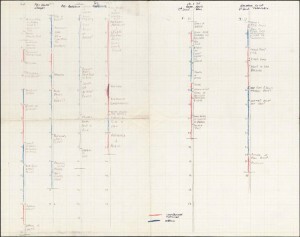 A visual analysis of speeches made during the 1938 Farnworth by-election by speakers including Herbert Ryan and George Tomlinson. 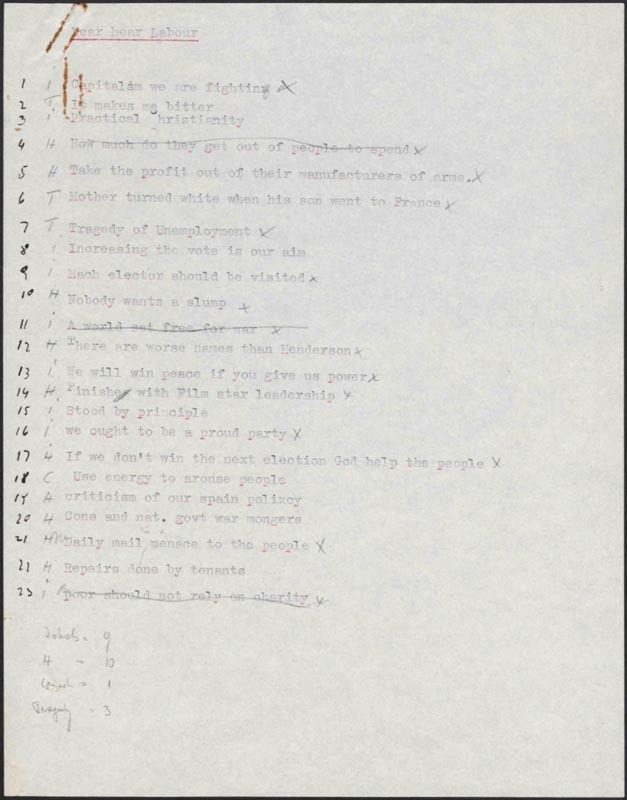 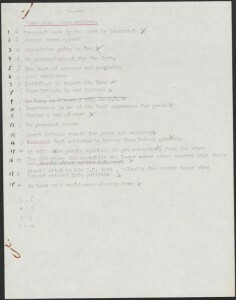 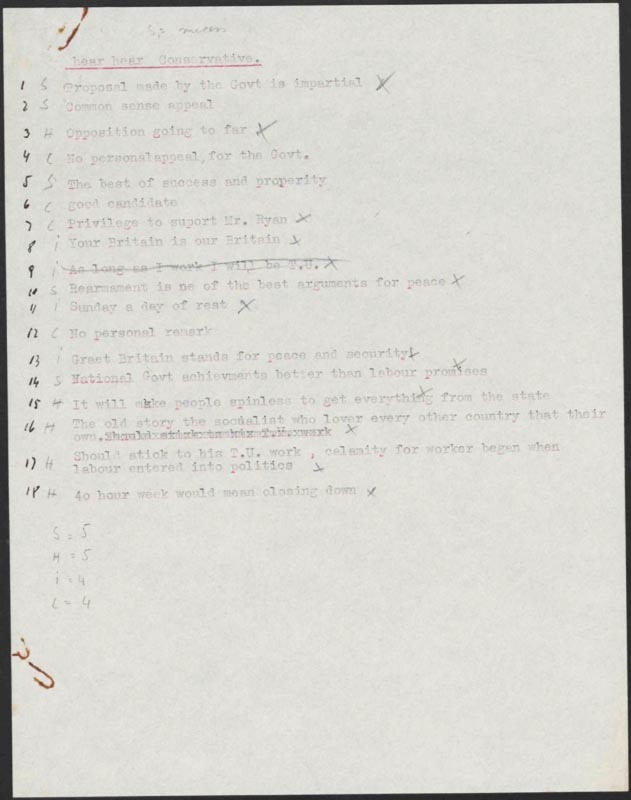 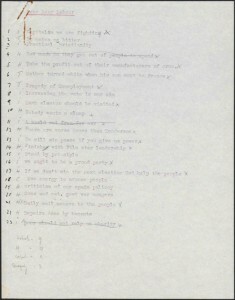 Topics which raised “Hear, Hear” from the audience during Conservative election speech. 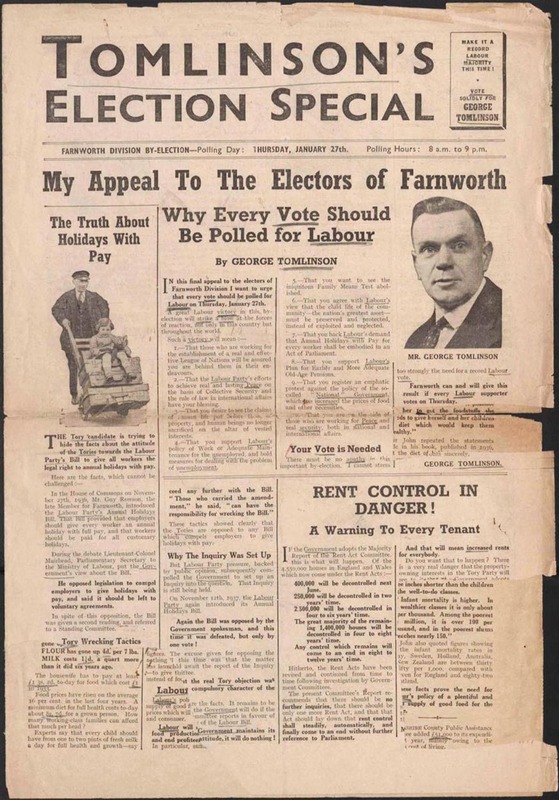 Topics which raised “Hear, Hear” from the audience during Labour election speech. 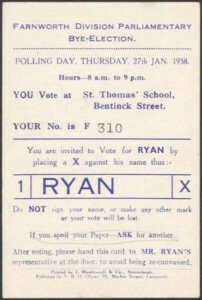 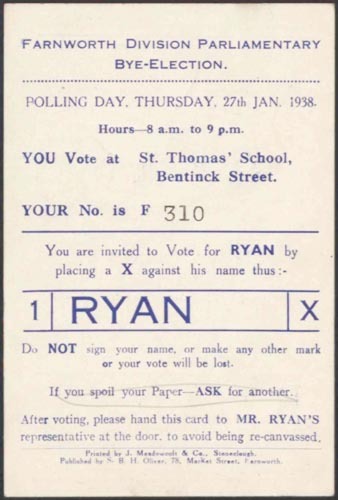 A leaflet showing voters how and where to vote for Conservative candidate Herbert Ryan on 27 January 1938.